This week's prompt is trees. I had hoped to get out in the garden with the SLR as there are lots of buds that seem to have suddenly appeared but this was a little unrealistic. So instead I raided the archives again. I went straight to our photos of Japan, as I am sure it is in all of our minds since recent events. Crazy to think that we were there a just under a year ago! We saw many beautiful trees in Japan but this photo really captures it for me. Wishing Japan some brighter days. Why not have a look at the other entries here. That's a lovely photo. 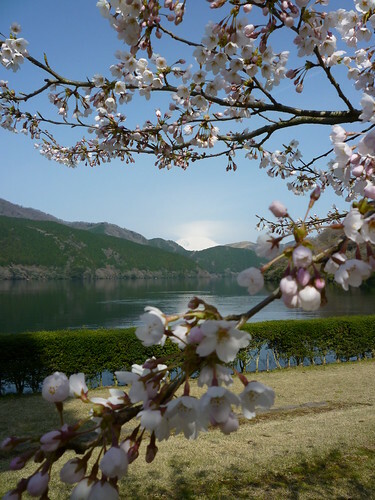 The Cherry Blossoms will be in bloom here very soon, usually for the beginning of the school year where I am. They are a sign of new beginnings, which couldn't come soon enough for so many. Beautiful picture and post - I second you in wishing Japan brighter days.